Mexico is not only famous for its soap opera but also the authentic foods the Mexican have. However, the foods that you should try while travelling in Mexico is not the ones that are on fancy restaurant’s menu but the street foods. Mexican is one of the best countries with the best street foods. There are different specialties of street foods you can try according to the region you visit. The best way to enjoy the street food is to visit the place of origin. However, most famous street foods are already available to try especially in the main city. Foods worth to try while you are in Mexico? Torta is similar to sandwich that is made of crusty bun, bolillo. It consists of various choices of fillings such as meat, tomato slices, jalapenos, avocado, and not to mention bean paste or mayonnaise to complement the taste. Actually, there are different variations of torta you can try made of different types of fillings and breads. Taco is certainly Mexican street food you should not forget to try when you visit Mexico. 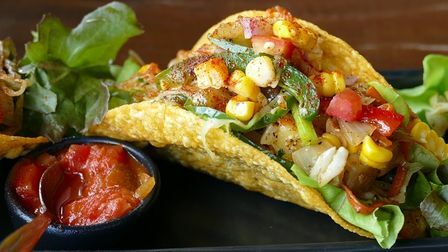 General Mexican tacos are usually filled with meat, and even some people like to add various parts of animal such as eyes, brains, or tongue. The locals love them but you don’t have to choose them if you’re unsure. There are various tacos you can try even vegetarian tacos are available. Quesadilla is also already famous as one of the best Mexican street foods. It is kind of a folded corn or wheat tortilla filled with melted cheese. The tortilla is either deep fried or grilled so you can choose what you like. The cheese is also varied that you can choose your favorite one. Guacomale, salsa or bean paste is often added to quesadilla. Churros are popular Mexican food that has been loved globally. However, you still need to try it from the original place when you visit Mexico. Churro is deep fried sweet dough sprinkled with sugar. If you have sweet tooth, this is the best treat to try. Not to mention that the best churros are the fresh ones. Elotes are corn based Mexican street food. They are corn cobs covered in queso fresco, mayonnaise, chili powder, as well as lime juice. They are usually served on wooden stick. Some of them are also often added with some herbs. Sope is also corn based Mexican street food that worth to try. They come in corn disk similar to tortilla but are usually thicker. The toppings are cheese, beans, cheese, salsa and other optional ingredients. While enjoying various street foods, make sure that your diet still balance to keep you healthy so you can still keep up with your travel plan.